The Thyssen-Bornemisza Proun 1 C was one of the first compositions in the series. 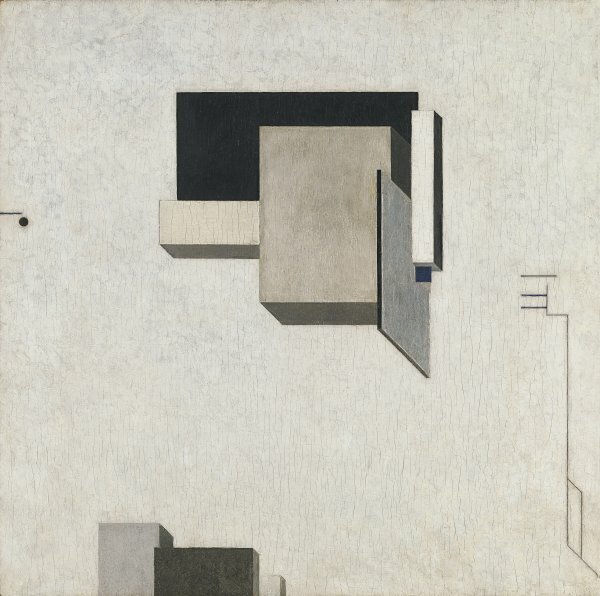 In their commentary on the painting, John Bowlt and Nicoletta Misler include a photograph of El Lissitzky in his Vitebsk studio in 1919, in which the work can be seen hanging beside other Proun pictures, showing that it was painted in the small Jewish town where he worked from 1919 to 1921 at the People’s Art School, in close collaboration with Malevich. The numbers assigned to the various Proun pictures relate to series established by the artist in his inventories, and the letters to possible owners. The word “unovis” written on the reverse of the painting refers to the group formed by Malevich. 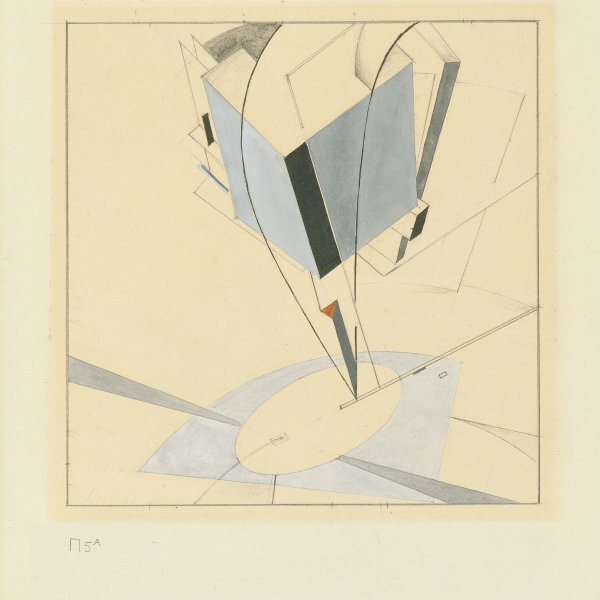 El Lissitzky was also active in the field of architecture and graphic design, and untiringly strove to integrate art into social life. His belligerently iconoclastic streak made him one of the pioneers of the quest for a new language to serve the needs of the new era — a collective, neutral language that would break with earlier art and could be understood by people from all social strata. 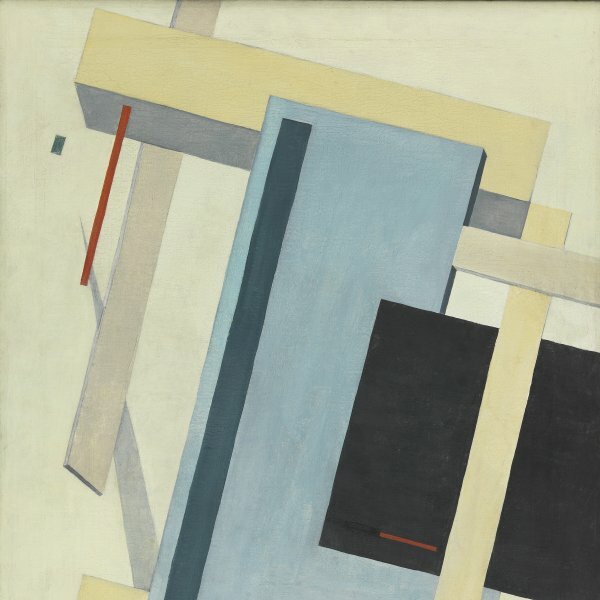 This desire to wipe the slate clean through a new art was shared by all the Russian avant-gardes of the time and also fuelled the spirit of the revolutionary poets such as Mayakovsky.